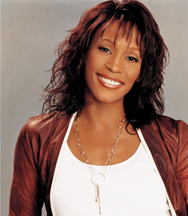 Released in response to a freedom of information request, the FBI’s documents cover 11 years of threats against the late singer Whitney Houston, from 1988 to 1999. But the pages are heavily redacted – in many cases, to the point of incomprehensibility. Sometimes the redactions are tantalizing. In late 1992, an unidentified Chicago lawyer wrote to Houston’s New Jersey-based production company stating that unless the singer paid $100,000 , his client planned to “reveal certain details of [Houston's] private life … to several publications”. Later the blackmail amount was boosted even higher, to $250,000. According to the FBI, this was extortion. But when agents met with Houston and her father, the singer said she knew the woman who was making the threats, and that she was “a friend … [who] would never do anything to embarrass her”. Officers closed the case, even though Houston’s father had apparently sent the blackmailer a confidentiality agreement and an unknown sum of money. FBI agents eventually questioned Houston’s one-sided pen-pal in 1988. They decided he was harmless. The same was true for a Dutch or Belgian correspondent who insisted he had written some of Houston’s songs. The writer further claimed that he was the president of Europe and had purchased the country of Brazil. After selling more than 200 million records worldwide, Houston drowned in a hotel bathtub in February 2012. She was 48.